Just weeks after the 2017 Nobel Prize for Chemistry was awarded to Jacques Dubochet, Joachim Frank and Richard Henderson for their work developing cryo-electron microscopy for the high-resolution structure determination of biomolecules in solution, we have taken delivery of a cryo-EM FEI Talos F200C microscope. Cryo-electron microscopy, or “cryo-EM”, is a revolutionary technique that enables scientists to study the structure of molecules with extremely high resolution and was voted “method of the year” by Nature journal in December 2015. This new piece of kit will allow us to do all the current room temperature imaging that we do, such as resin sections of chemically-fixed samples, plus allow us to image frozen samples, which are preserved as close to the native state as possible. This is only possible to do well with really small particles, on the nanometre scale, which can be instantly frozen by plunging them into liquid ethane so that the ice is vitreous, like a glass i.e. without crystalline structure. 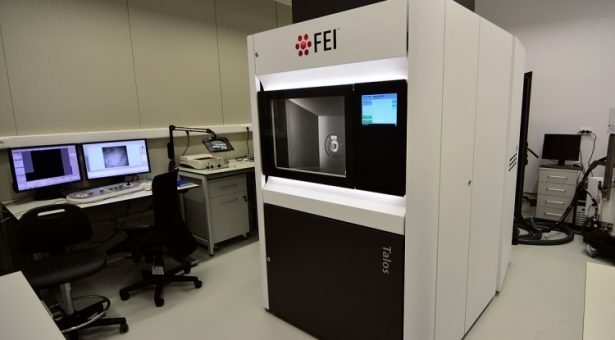 With the new cryo-TEM, we will be able to optimise sample preparation and screen the cryo-samples on-site before sending them to places like Diamond Light Source, where they have even more powerful cryo-TEMs, called FEI Titan Krios, with direct electron detectors, for the final high-resolution data gathering.  We will then bring the data back to the John Innes Centre where we can apply our special computing hardware and software to make reconstructions of the particles with a resolution of a fraction of a nanometre. 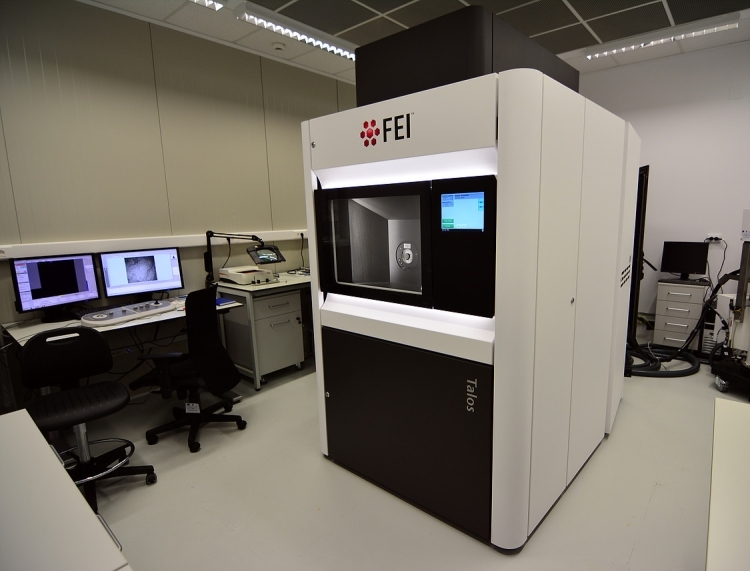 While our new FEI Talos F200C microscope will be a “baby” microscope compared to those Titans, it is a massive step-forward for the Bioimaging team here at the John Innes Centre. Funding for the £1.38m microscope has come from the Biotechnology and Biological Sciences Research Council (BBSRC) after a joint bid from Professors Tony Maxwell and Mark Banfield together with Dr David Lawson (head of the protein crystallography platform) and myself (head of the Bioimaging facility). 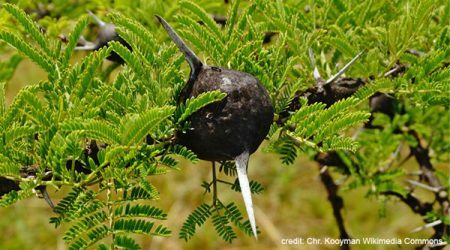 Tony and Mark, alongside other Project Leaders such as Professor George Lomonossoff, are interested in using it for structural biology applications – to resolve nanoscale structures of things such as proteins, protein complexes and virus particles. Previously this could only be done by protein crystallography but some things resolutely don’t want to crystallise – membrane-bound proteins are notoriously difficult – this is where cryo-EM comes in. Before we could take delivery of the microscope a site survey needed to be undertaken by the manufacturer, which entailed a basic check of the room dimensions, services, transport routes etc and highlighted several building alterations that were needed, including knocking the corner of our preparation lab down, to be able to get the instrument in. The area outside the building also needed some preparatory work ahead of the delivery, including; levelling out uneven paved surfaces and temporarily building up some difficult slopes. Our old TEM was removed at the end of November and, in the meantime, we are accessing the TEM at UEA but we cannot wait to have our own TEM again. The bulk of the delivery took place on Tuesday 19 December. A further delivery of one final crate which had frustratingly been left behind at Heathrow airport in the first shipment, took place 3 days later. That one crate was missed was hardly surprising, once we learned that FEI were delivering 5 systems to the UK that week, all with multiple crates coming in through Heathrow and with various transport teams involved. 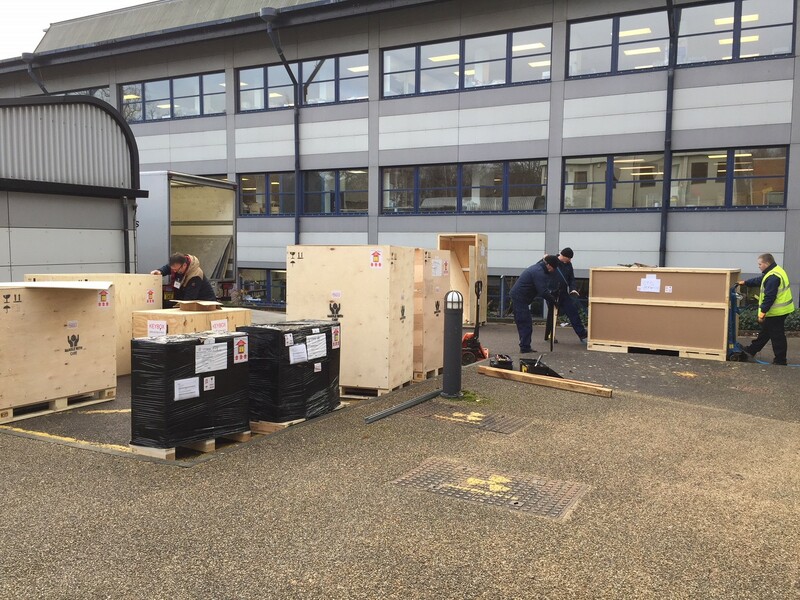 On each of the two delivery days there were one or two FEI microscope engineers on site to meet the incoming shipment and a transport team from a specialist external company; Beckers. Using pallet trucks, a large forklift truck and lots of man power, the combined, expert teams got everything inside within a few hours each time without any damage, luckily all completed in dry (but very cold) weather. 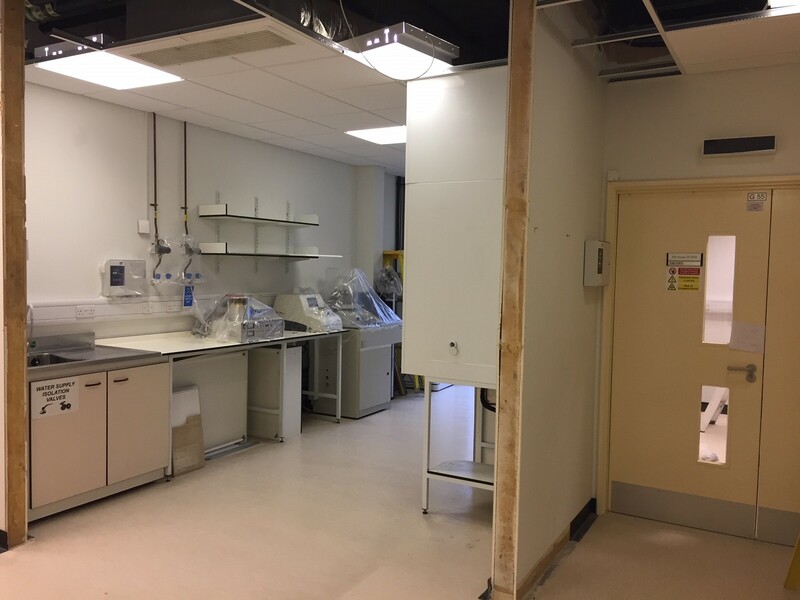 There were 13 crates in total, the largest weighing over 1.5 metric tonnes with dimensions of 2.4 x 2.3 x 1.5 metres, thus the need to remove the doors to the TEM room and knock a wall down to get it in. All the crates are now being unpacked so that it can be assembled and fully installed. This process began on Monday 8 January and will take at least 6 weeks to complete. Once installation is complete, training on this exciting new piece of kit will begin for our Bioimaging staff, from an FEI cryo-TEM specialist, before our team will pass that training on to others across the site and the microscope will get it’s first workout, sometime later this spring. 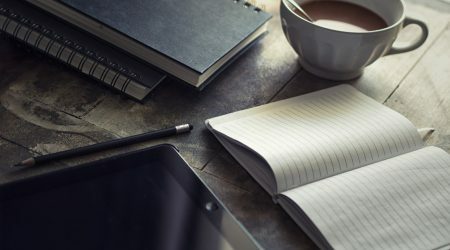 Discover our top 5 blogs from 2018. 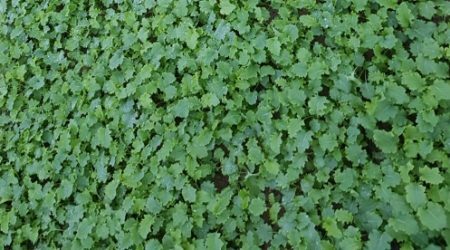 Downy mildew in baby leaf kale, could be a thing of the past, thanks to a recent collaboration between industry and science.